A perfect gift for yourself or the Divergent fan in your life! This multi-purpose lanyard is great for attaching to keys or badges (work, convention or other). 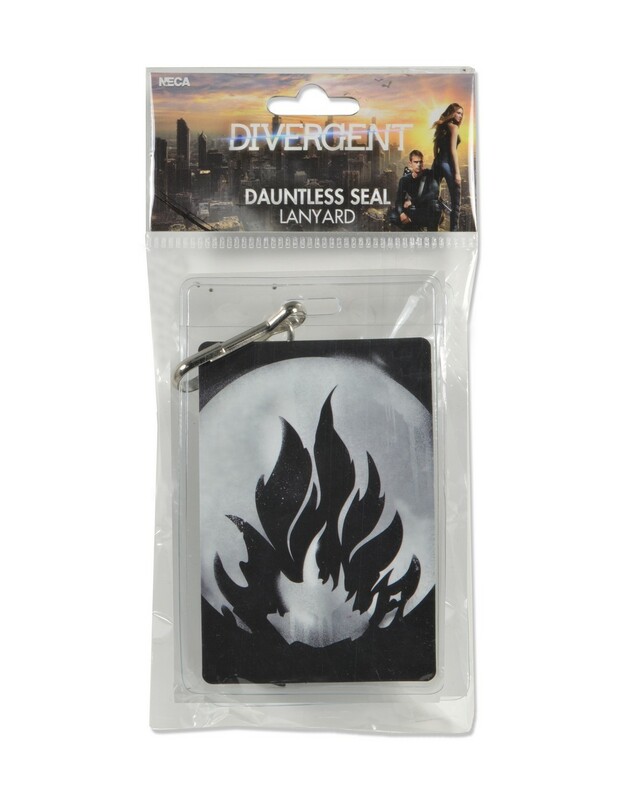 The clear plastic badge holder displays the Dauntless symbol on front and the faction’s credo on the back. 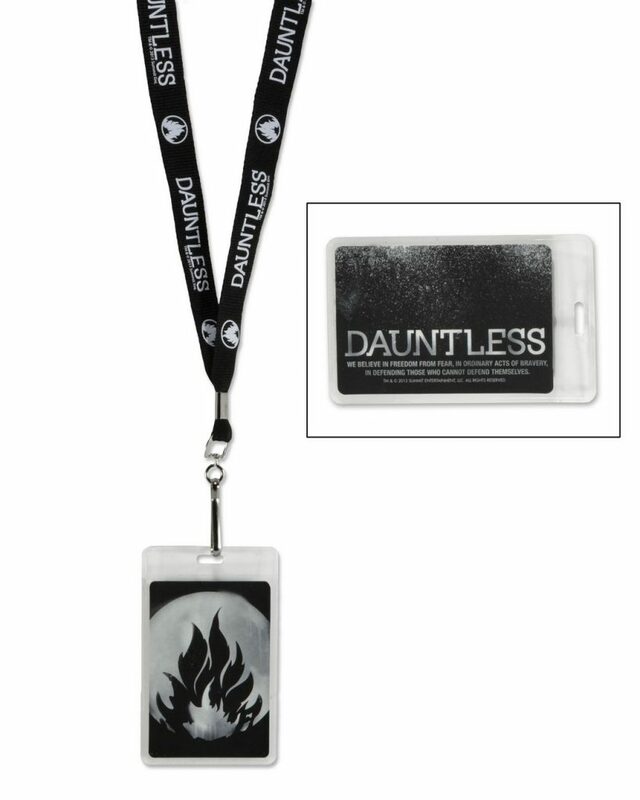 It hangs from a 30-inch black cloth lanyard printed with the Dauntless faction name and symbol.